When I first moved out on my own, I had no clue just how much work it took to maintain the cleanliness of a home. I was really good at keeping my room clean at my parents, but that's mostly due to using cleaning as a stress reliever. When adding an entire apartment on top of an already busy schedule, I soon came to find out that it was more work than I thought. You could say I even found it a bit overwhelming. It wasn't until I came across a book called 'At Home with Madame Chic' by Jennifer L. Scott that it became clear I needed to get my home life in order. 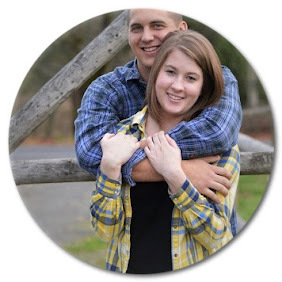 In her book, Jennifer talks about cultivating a life that takes pleasure in the simple moments and daily chores. By doing so you end you changing your mind frame from having to do something into wanting to. After changing my frame of mind, I have found it easier enjoy doing the chores that need to be done around the house. My biggest suggestion to you is to break up your house cleaning into zones for each day. 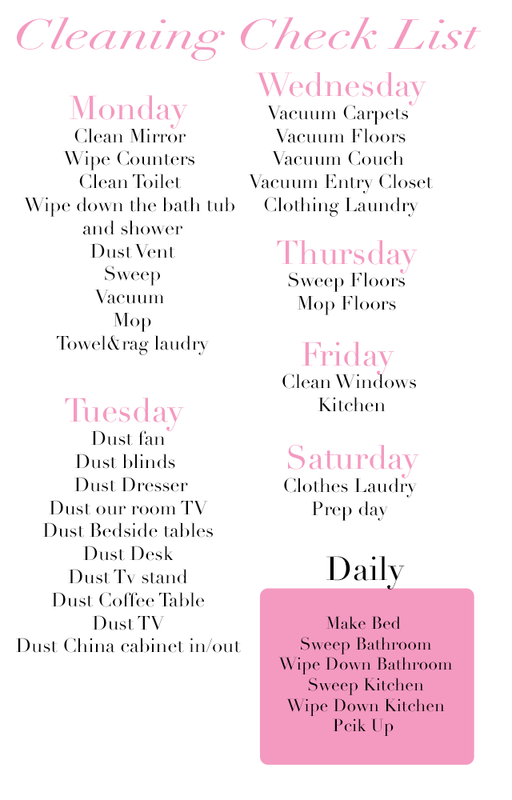 I organized my cleaning schedule this way, breaking it up into a schedule of Monday through Saturday with a light pick up around the house on Sunday. I first wrote out a list of chores that need to be done around the house. I then broke that list up between my cleaning days. A helpful tip is to have your everyday schedule near you while you are doing the cleaning so you don't miss a step. this. When you are making a cleaning schedule you want to make sure that it fits in with the other activities going on in your life, like work or school. This has allowed me to keep a clean house and not have to spend an entire day cleaning. 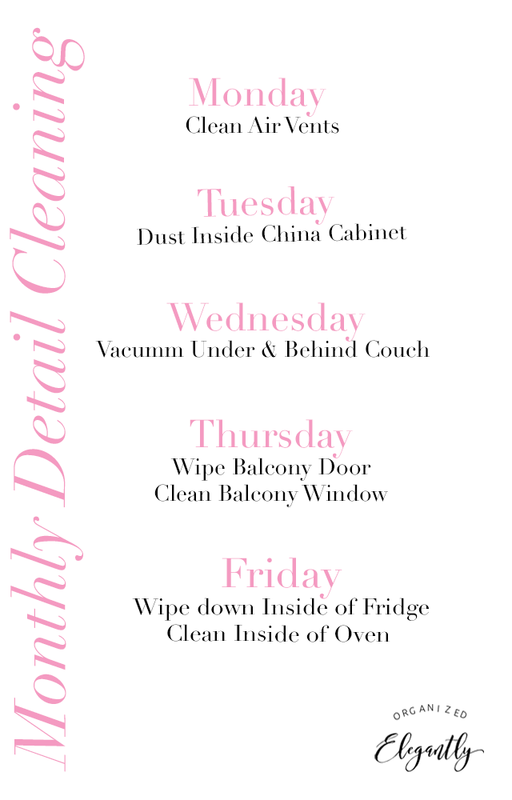 Below are my weekly cleaning schedule and a small list of the basic items that need to be done daily. I utilize the last week of every month as my detail cleaning week. This is when I go about my normal cleaning schedule but have additional chores that need to be done. I have found this to be the best way for me to remember those items that just don't need to be done every week but that need doing every month. This may be different for you. I have found that depending on the size of your space and the number of items in your space helps determine how many extra chores you will have for each room. The Monday through Saturday days that I have my cleaning routine broken into may not fit into your lifestyle and that is okay. We are all living a different life and that means that we all need to customize our routines to fit our lives. I would suggest making a list broken down into every room of your house and figure out what needs to be cleaned. Then I would look at a normal weekly schedule for you and your family. While comparing the two, fill in where you see that you can complete each task. Once you have some sort of a schedule figured out, start it and stick to it. As life changes, you will probably need to go back and change the cleaning schedule to fit your new needs. This style of cleaning will grow with you as your needs change. 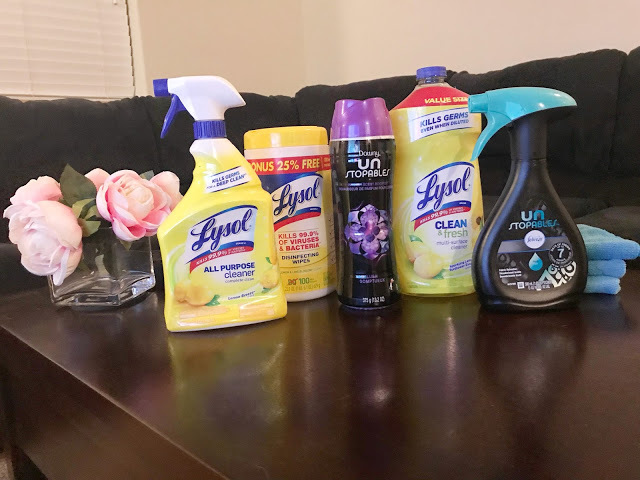 While it is important to have the right cleaning routine, it is also important that you use the right products for your home and family. What do you do to keep your house clean and running smoothly? Thank you Mona! It was a fun post to write. I worked hard when we first moved in to figure out the perfect cleaning routine for our life.